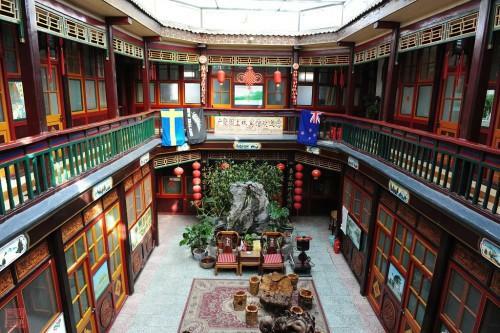 Bada Hutong was formerly Beijing’s largest red light district in its history. First emerging in the 18th century, outside the city gates,Bada hutong is part of a location name of eight hutongs situated closely. During the Qing Dynasty, it was the spot for brothels. Bada hutong consists of Hanjia hutong, Shitou hutong, Shanxi Xiang, Wangguanfu Jie, Yanzhi hutong, Baishun hutong, Pitiao yin and shaomao hutong. Today, much of the area has been demolished and rebuilt, but still you can feel some color of the old Beijing there.